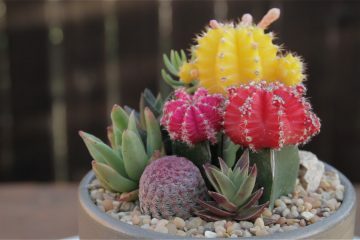 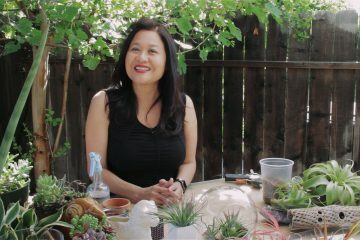 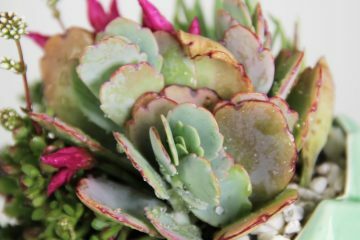 Make a beautiful and unique statement with a succulent centerpiece! 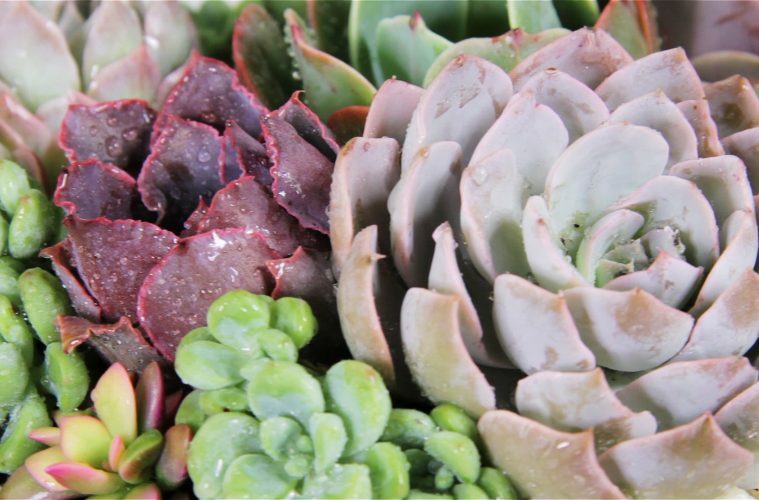 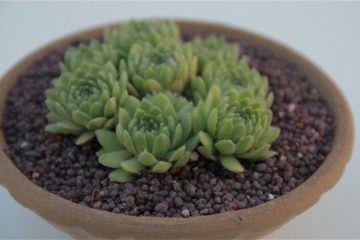 We use a variety of plants such as Echeverias, Aeoniums, and add delicate touches of pink and light blue shades. 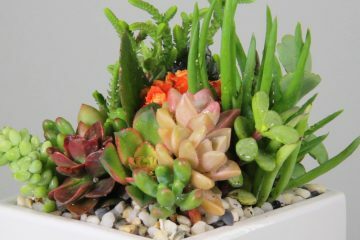 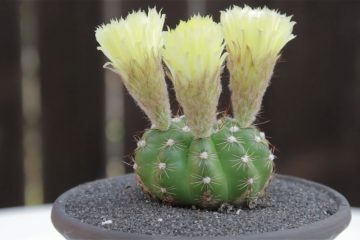 Easy to maintain and a wonderful way to decorate your home with succulents.